As you may know from reading my previous blogs, Chiapas is the state in Mexico I had been looking forward to most. It’s the southernmost territory bordering Guatemala, and I was introduced to this place before we left for our trip via travel photos I had been following online. From what I drew from the pictures, there seemed to be endless outdoor adventures to be had. Yet another region of Mexico full of amazing surprises, and it most certainly did not disappoint. First and foremost, the numerous waterfalls throughout the state were unreal. I am a fool for waterfalls, I’ll be the first to admit it, and there are lots of them throughout Mexico & Central America. Even so, I was amazed how many unbelievable ones were packed into this relatively small region. Our first encounter may stand as one of favorite experiences of the trip, and it just so happen to be our first stop in Chiapas. El Aguacero is just over the border from Oaxaca, about an hour and half outside of the capital city of Tuxtla Gutiérrez. It’s a decent trek off the main road, and difficult to access unless you take a guided tour or have your own vehicle, but it’s well worth the visit. Arriving at the entrance to the park where the falls are located is only half the battle though. The entrance provides a nice little restaurant with a view, along with some basic facilities and space to camp, but the falls are located deep down at the bottom of a canyon that cuts into the earth just beside the entrance. Just under 900 steps take you down to the base of this canyon, which is home to the Rio La Venta. In the rainy season, when the water levels are high enough, this river is a popular spot for long term packrafting trips. Packrafting is a specific type of backpack trekking in which you travel using a specialized inflatable raft built to be lightweight and fit in a hiking pack. You spend any number of days traveling down isolated rivers, camping on the shores at night and rafting by day. From the brief research I did into packrafting, it sounds amazing, but requires the right equipment and proper planning, so it wasn’t in the cards for us. Instead, we chose to pack up our hiking packs with all our camping gear and rations for the evening and ascend into the canyon with intentions to camp near the river for the evening. 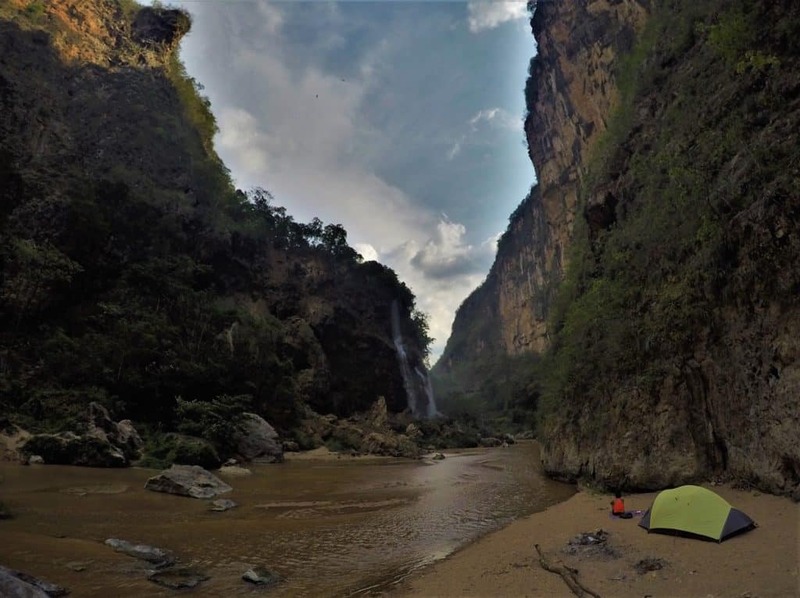 Most people visiting El Aguacero spend the day down around the falls and hike out before nightfall, but there are a handful of spots where you can set up camp so we opted for that experience, and what an incredible experience it was. We found a perfect spot to set up for the night, about 150 ft. from the base of the falls, complete with a nice little fire pit built into a natural crevice carved into the base of the cliff. As for the falls, breathtaking and majestic are the two best words to describe them. The walls of the canyon tower hundreds of feet over the river, and the water starts its flow out of the side of the cliff a little more than half way down. The water spouts from a couple spots, but as it makes its way toward the river, it cascades down a series of smooth dome shaped rocks which seem to have taken their shape over time from the consistent assault of the water. The flow down these domes expands and expands the width of the falls until eventually the water lands at the base, about ten times wider than the spout where it started. These smooth dome shape rocks also create an amazing playground to explore. There are small caves, perfect natural showers, even some slides leading down to the river. It looked like something they would model a waterpark after. Camping next to it was amazingly peaceful and serene. The soothing sounds of the falls played the perfect lullaby and made sleeping on the ground a breeze. The feeling when we woke up with a view of these beautiful falls from the doorway of our tent is difficult to put into words, something best experienced firsthand for sure. That was the same thought I had when I saw the pictures of someone camping next to this waterfall months before we left to travel. That picture was even the main catalyst for our decision to travel in Poppins vs. just backpacking. In the morning, we had the entire canyon to ourselves. Our own private waterfall playground, a hell of a way to start off our time in Chiapas! The next waterfall we visited was a much different experience, but worth mentioning nonetheless. 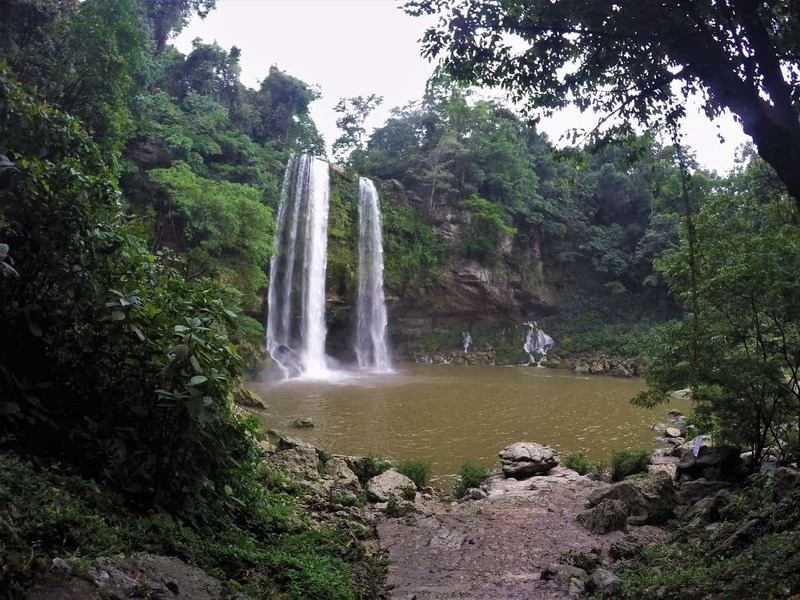 Misol Ha is a popular spot along the tourist trail, and is located just outside of the larger city of Palenque. Palenque is home to the most well-known Mayan ruins site in Chiapas, so the tourist draw is strong in those parts. Luckily, during our visit only a few small groups of local tourists were there, so we didn’t have to deal with large coach buses full of crowds. We got there late in the evening and had the lot to ourselves with space to set up and prepare ourselves a nice dinner. In the morning, once again, we had the falls to ourselves. Unlike Aguacero, this waterfall was large and powerful. The kind of water you can’t swim under without getting crushed by the sheer force. Even so, there was a large pool at the base where swimming was allowed, but only with a life preserver. The real beauty of this particular waterfall was in the scenery. You walk down the access path through the trees towards the sound of cascading water and eventually come upon a clearing that opens to this beautiful oasis and massive water feature. The falls are wide, and flow over a cliff that overhangs far enough to allow you to walk behind them. To the sides are mossy trees with dangling vines that stretch over the edge of the cliff as well, creating this picturesque postcard view. On the far side, there is a cave that leads you back into a large dark cavern with a nice swimming hole and its own little cavern waterfall (just make sure you’re comfortable with bats!). As you walk behind the falls, you can feel the power of the water as it barrels down to the rocky bottom. Not many waterfalls leave you with space to experience what’s happening underneath and behind the scenes without getting soaked. It was one of those awe-inspiring moments found in nature that fill your soul and leave you wanting more. Luckily, Chiapas is the place to be if you want more. Agua Azul was next up on our list of waterfalls, and it was one of the more gorgeous & unique places we have been. 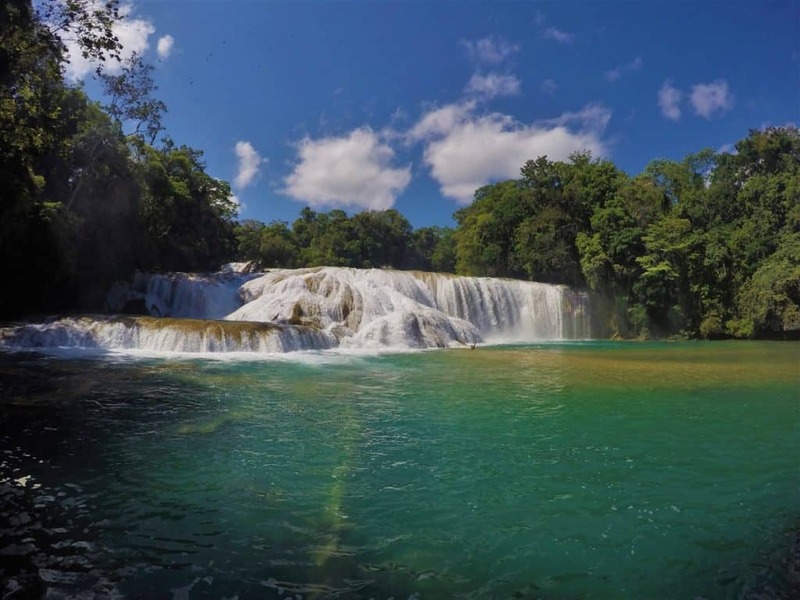 Instead of a single waterfall, Agua Azul was a long winding river with a series of smaller cascades ranging from a couple feet to about twenty-five feet high. 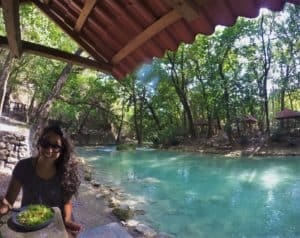 There is a nice path along the cascading river filled with souvenir stands, little bars & food vendors, as well as a handful of small swimming holes where you could take a dip in the pristine water. Speaking of the water, this place is truly special because of its vibrant blue colors. The elevated levels of calcium in the water give it a glowing turquoise hue, which really pops when it’s up against the pure white background of the falls. As the river flows down through the cascades, some spots are deeper than others and created a mix of lighter and darker blues, it was like something out of a Bob Ross painting. From top to bottom, the path along the river is about a half mile long. Since the current is strong near some of the falls, it can get dangerous and people have been injured or even killed, so they do their best to ensure people stay safe while cooling off in the river with designated swim zones. Being the rebels that we are, we decided to trek off the beaten path and find a more private place to swim. The spot we found was amazing. It was a small pool tucked away in the middle off the river with thick jungle almost creating a full dome overhead. The secluded pool was about 20-ft. in diameter with its own 15-ft. waterfall filling the space. Unlike all the other swimming holes, this one was deep, so deep you could even jump off the falls into the pool, which as some of you know is my favorite thing to do. It’s unfortunate this place is so far in the middle of nowhere Mexico. Like many other places I have stumbled upon on this adventure, I find myself wondering if I will ever make it back to my favorite swimming hole. I hope so, but I guess time will tell. We hit our last waterfall as we were heading out of Chiapas towards Guatemala. El Chiflòn is a couple hours from the border, and not too far off the main highway that takes you there. If it wasn’t for my favorite swimming hole at Agua Azul, this place would have taking the #1 spot in terms of best waterfalls. It certainly takes the cake for the most picturesque. As you approach the park you can see a large waterfall high up in the mountain, and at first, I thought that’s all this place would be, but man was I wrong. After parking, we walked up to the entrance where they had a giant map of the place. Turned out, this waterfall experience came with a bit of hike, but a very rewarding one. The trail ran along another turquoise river and went on for over a mile. Instead of one large waterfall, and some smaller cascades like they had at Agua Azul, this trail lead you up the mountain to about six different large, vibrant waterfalls. The smallest one was probably thirty feet high, and they were all magnificent. The water was a glowing Tiffany’s blue and it was all surrounded by rich green forest with countless bright butterflies gliding about. The largest of the falls was a little more than half way up the trail, and easily the biggest waterfall we had come across in all of Mexico. It must have been at least 300 ft. high and bursting with a heavy water flow. They had built a cool little pathway up to the base that got you right up into the mist where you could really feel the power of that water. Continuing up the main trail, the hike begins to get very steep, ascending the man-made stone staircases to the final two waterfalls, and an incredible view of Chiapas. ately, these falls were not only high, but each very thick and powerful, so there was no swimming in the pools at their bases, but that didn’t matter since there were beautiful swimming holes among the smaller cascades along the river. After hiking up to the last waterfall, a dip in the perfectly refreshing aquamarine river under the shade of the jungle trees was just what the doctor order. This place even had a handful of picnic areas at the river’s edge where we got to enjoy a fresh Lindsey-made salad for lunch. It truly is a wonderful little place. Exploring the waterfalls of Chiapas was one of my favorite experiences thus far. 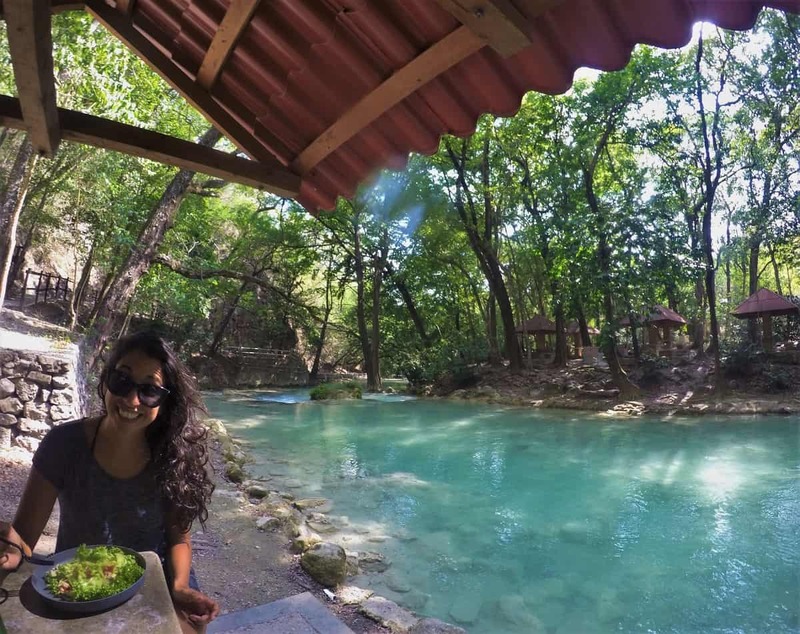 It’s hard to say my favorite, because overall, El Chiflòn seems to be the coolest, but that private swimming hole at Agua Azul was definitely the best of its kind. In addition to the unbelievable waterfalls, Chiapas also features some beautiful lakes. There are lots of them throughout the state, but we visited three in particular. The first one we visited, which was also the most remote and secluded, was called Laguna Miramar. To get there, we first had to drive hours and hours down a rough unpaved road into deep eastern Chiapas. This was by far the strangest, and most uncomfortable drive we made along the way. On google maps, it appears the road is a larger main road, based on the thicker yellow line it was represented by, but turns out, not the case. We took the route down from Palenque which cruises along the south west side of the Parque Natural Montes Azules. The destination was deep in the eastern corner of Chiapas, near the border of Guatemala, but first we had to go through a handful of remote jungle villages, which is where things got weird. Apparently, back in 1994 there was a political uprising against the Mexican government by the Zapatistas (one of many, but the largest in recent history), comprised mainly of indigenous settlers from Chiapas. It was centered in San Cristobal de Las Casas and resulted in some bloody fighting, but the Zapatistas eventually retreated into the mountains of eastern Chiapas with the intention to campaign for democratic change in indigenous rights. To this day, these groups occupy these mountain villages, and apparently, they don’t see very many Gringos driving through their villages. Don’t get me wrong here, nothing bad happened, and I’m sure these folks are extremely friendly, but the situation was just uncomfortable. We would be driving for a while, and when we eventually came upon a village, we were first greeted with large billboards, white with hand painted black lettering. We couldn’t decipher the entire message, but it basically seemed like a message to those that oppose the Zapatistas, a warning to stay out. Some of the words had drops of blood painted on them, as though they were dripping. In the bottom corners of these signs were paintings of masked people, sort of looking like terrorists or something, with black sashes across their faces. It was creepy to say the least. On top of the scary signs that obviously made us uncomfortable, the staredowns were just weird. We are used to getting looks considering we are foreign travelers, it comes with the territory, but these ones were a bit more intense. It didn’t really happen with the elder people, but any kids or young adults we passed would literally lock on to us and stare, sometimes with their mouths open, the entire time we would be in their eyesight. I guess it’s because they either rarely see outsiders, or have never even seen a Gringo? Either way, it was off putting. To add to the unrest of the journey, we ended up getting a flat tire which I had to change in the 95-degree heat on a rough dirt road barely wide enough for a second vehicle to get by. Good times. We finally got to our destination just before sunset, which was a trailhead along a calm river. The lake was a 3-mile hike from there, so we loaded up our packs and prepared to trek in the next morning. It was an extremely peaceful hike, albeit somewhat hot in the sun at times. We walked through dense forest as well as large open fields and farm land for about three hours. After that ridiculous drive and this extended hike, it felt as though there was no place in all of Mexico that could have been more secluded, not the case apparently. When we finally arrived, we were unexpectedly greeted by a large group of young Mexican children who were there on a school trip. The stare downs from these kids were just as intense, if not more. I guess I get it though, on top of being a Gringo, here is this hairy chested man with long hair and a huge beard, I doubt they see much of that. We were caught off guard by the group for a minute, but it turns out there is a small village that is only a 30-minute hike to the lake, so a bit more accessible than we had thought. I ended up chatting with the group of teachers, putting my ever-improving Spanish to effective use. They were extremely nice, giving us some advice on a better way to travel back, and even had us join them for lunch! They left a little bit before sunset, and after that we had the whole place to ourselves. The lake was massive, and there wasn’t a single developed structure on it. Impressive to see, considering most lakes, especially as large as this one, have some sort of structures along the shore. The only thing on the shores of this lake was this one little campground with a single guard shack and some wooden boats. The water was deep blue with some aquamarine hues in the shallower sections. The water’s edge was lined with these rounded rock formation, which made a perfect perch to hang out waterside and swim off the ledge. Such a challenging adventure to arrive there, it makes sense that it would be so unique, and so secluded. A lake side camping experience like none other, and worth the journey. The next lake, or in this case, series of lakes, we visited was the Lagunas de Montebello National Park. This place is also found in eastern Chiapas, although not as deep Laguna Miramar. It’s a region along the border of Mexico and Guatemala, occupied by a number of beautiful lakes of various sizes. In the park itself, I believe there were a total of 13 lakes, with a handful of others in the land surrounding the park. Each lake had an enchanting shade of deep blue, with slight differences resulting from depth. Surrounding each lake were rustic pine covered mountains that steeply ran down to the water’s edge, leaving little space for lakeside development, preserving the pristine nature environment. Out of all the lakes, only a couple had space for development, and one had a small village with some great lakeside accommodations. Not sure if it was the slow season or what, but we ended up camping on a large lakeside field, and had the entire place to ourselves. We had a nice little palapa with a picnic table in the grass, and an amazing view for the sunset. Other than relaxing lakeside, the park offered some small hiking trails, but much fewer than I would expect. 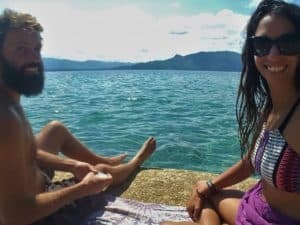 There was one short trail that took you around a small lake that sat halfway over the border of Guatemala (kind of got us excited about our next destination in a new country). Other than that, there was a single trail that rambled through a section of the park and took you to view points for a few different lakes. Nothing too intense, which was a pleasant change from most national park hiking. The place ended up being a very peaceful, relaxing place to spend some time. The final lake we visited was another series of lakes, but this time much smaller. Lagos de Colon ended up being a great stopping point just before reaching the Guatemala border crossing. A tranquil spot to spend our last evening enjoying Chiapas and Mexico. Contrasting from the other lakes we visited, this place did not have mountains surrounding it. In fact, the drive in was some of the flattest, almost Midwest farmland like terrain we had covered. The lakes were still crystal clear, but were more pondlike, being engulfed by mangroves and tall reeds. Although the swimming wasn’t ideal, the natural landscape that surrounded these lakes and rivers made for some great scenery. There was even remains of an ancient Mayan village in the middle of it all, an unexpected treat. Connecting these small lakes were a series of rivers that flowed through the wooded areas between the bodies of water. We forged 3 or 4 river beds in the woods to get deep into the camping area, making for some great scenery. The rivers were as clear as could be, and the perfect temperature for cooling off from the hot sun. Even Poppins got a chance to cool off in next to some cascades! As I cooled off, I was feeling much gratitude for my time in Chiapas. So much nature and outdoors, it was absolutely wanderful. 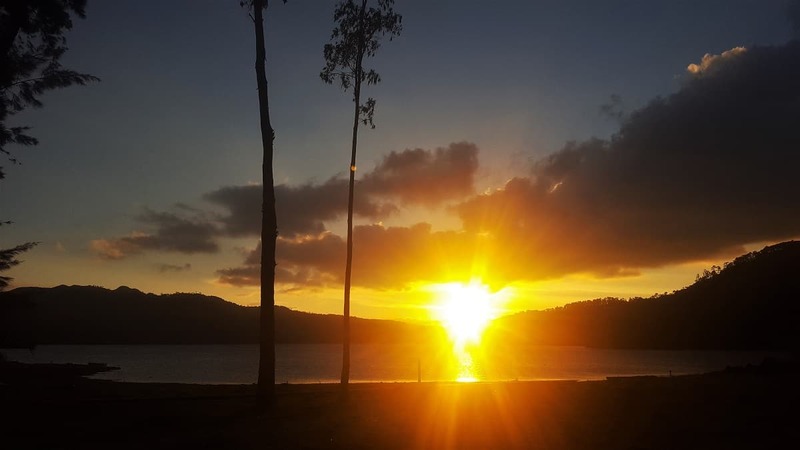 As much as Chiapas has an abundance of breathtaking nature, it also has a couple cities that most certainly can steal your heart. We only spent time in two of the cities found in Chiapas. One of which is definitely underrated among travelers (in my opinion), and the other happens to be one of my favorite cities in the world (thus far…). When traveling, or planning anything at all for that matter, people tend to be heavily influenced and swayed by the opinions of others. Although other opinions can be very helpful in figuring out things to avoid, they can also cause you to miss out on something amazing, something you may love. Everyone is an individual, and by definition, will like and dislike different things. So, when avoiding something based on somebody’s opinion or review, I warn you to proceed with caution, because you might regret it. I say this because the city of Tuxtla Gutierrez is a perfect example of this. Throughout our travels in Mexico, I have met many other travels, all with their own stories, all with their own suggestions of what to check out, and all with their own suggestions of what to avoid. I do the same thing, it’s an extremely helpful tool for traveling on the go. Out of all the things I had heard though, not a single positive comment was made about Tuxtla. For the most part, I didn’t hear about it at all, but when I did, it was only to be told to skip it. Instead of taking this advice, I decided we would visit the city and decide for ourselves. As it turns out, we are fans of the city. I mean, I can understand some of the negativity towards it; most of the city is a bit run down, it’s a hustle and bustle industrial place with not much curb appeal, and it isn’t very clean. After spending some time there though, we found a few gems that made the place unique and special. The most obvious of all sits on the outskirts of the city in the form of the Cañón del Sumidero. There are two ways to experience this national park, both of which are worth doing. You can either take a boat ride through the canyon, or get the overhead view and explore the park from the top of the canyon looking down. The boat ride is great, riding you through the canyon as you are in awe of the towering canyon walls standing over a half mile overhead. The tour up and down the river takes about 2 hours, stopping to show you some interesting rock formations and wildlife along the way. The only downside of the boat ride is seeing the garbage and pollution that fills the water, piling up in the eddies along the river’s edge. Quite disappointing to be honest, you would think seeing this would make the locals stop littering, but that doesn’t seem to be the case. On the flip side, you can experience the marvel of this spectacular fissure in the earth from above. The national park service has built roads that take you through six different viewpoints, each with its own exceptional view thousands of feet down to the river below. The canyon is a couple hundred feet wide as well, making for one amazing landscape, remnant of the Grand Canyon itself. Within the city, we found a couple highlights that really made us glad we checked it out. Next to the hotel where we slept in the truck each night was one of the most impressive sports parks I have ever seen. The massive space is filled in with 10+ soccer fields of varied sizes, basket courts, tennis courts, handball, squash, paddle tennis, and even outdoor racquetball (had ceilings and 4 walls). There were multiple areas with outdoor gym equipment, spaces for yoga and other workout classes, and even a section filled with trees and walking paths, much like a normal nature park. It was all surrounded by a large biking trail, along with a running trail made out of recycled rubber like those cushioned tracks you see at a lot of schools, and it was all open and free to the public. Very impressive. On the more social side of things, Tuxtla offers numerous bars and nice restaurants to choose from, even some modern healthy options. Lindsey and I found a spot that actually made Acai Bowls, which are high up on the list of things I missed most from San Diego. This is the only place in Mexico we had found them and they were fantastic, albeit much different from those found in San Diego. This particular bowl was filled with Acai, then topped with rows of homemade granola with dried cranberry, sliced mangos, Cacao nibs, and ground nuts. A unique version of the classic Acai bowl, and man did it hit the spot. The most special of the social offerings is the Marimba Park, where the city puts on nightly Marimba concerts for its citizens. The concerts are free and are held every night from 6-9pm. We were there on a weeknight and the place was still packed. The gazebo where the band plays is surrounded by rows of park benches for people to occupy, along with some space up front for dancing. The dancing is what made it so special. Not the first time I have seen this part of the Mexican culture, but it was very prevalent here. Families, friends, and loved ones all come out and gather together to dance and smile with one another. It seemed like a big event, but it was crazy to imagine that it’s just what they do, and they do it every night. To think, that if we had taken the advice of others, we may not have seen and experienced these things. To each their own, but being a part of a happy community like this out dancing with their families each night is an atmosphere everyone should experience. It’s nice to be reminded that the world is filled with these sorts of places. Through the years, I have visited lots of cities around the world. I’ve traveled around Europe, spending time in many wonderful places, and have covered the majority of North America. In all that time, I have found a small handful of cities that truly stand out. Places that have an electric energy, or something mystical about them that just radiates. Among that list are places such as San Diego, Austin, New Orleans, Prague (Czech Republic), Florence (Italy), Barcelona (Spain), Antigua (Guatemala), just to name a few. San Cristóbal de Las Casas is one of these places, and it might even be one of my favorites of them all. Now certain places have very distinct characteristics that make them special. Take New Orleans for example; rich culture, incredible food, and a musical soul like no other. San Cristóbal on the other hand isn’t so distinct, but there is an energy present in the city that really makes it special. Just spend an evening walking around one of the many pedestrian only cobble stone streets and you will feel it instantly. San Cristóbal is high in the mountains of southern Mexico, so the air is crisp and cool. Even in middle of summer, it can feel like a fall evening which is a nice relief from the majority of Mexico and Central America. Being centrally located in Chiapas, it’s a great jumping off point for trips to all the places I discussed throughout this blog. 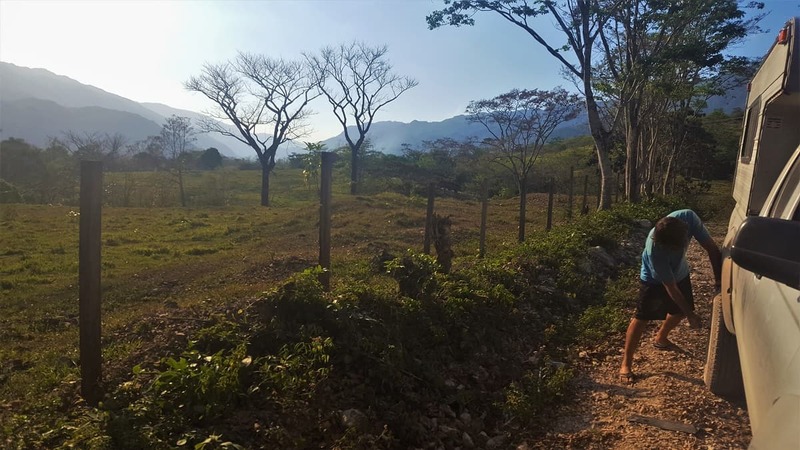 Tours run daily to pretty much anywhere you want to go, including the international airport just outside of Tuxtla, just over an hour away. Whether you’re looking to indulge in local cuisine, sample mountain roasted coffee, or sip on some smoky mezcal while enjoying some live music, San Cristóbal has it all. There is a slew of amazing restaurants, all sorts of unique cafes, and lots of great little watering holes with local music almost every night. If none of that sounds interesting to you, then you can easily spend hours walking the cobble stone streets, exploring the artisanal craft shops and partaking is some fantastic people watching. I could go on for hours talking about each of the amazing cafes and restaurants we enjoyed, but that’s the thing about this city. There weren’t just a couple places that stood out and deserved mentioning, it was littered with amazing spots. There was an option for anything you might be in the mood for. Craving Chilaquiles, head over to Carajillo Café and get experience the best ones you’ve ever had (not to mention the outstanding café butter). In the mood for Thai food or maybe some tapas, make your way to the Plaza San Agustin and try out Bangcook or 500 Noches. Or maybe it’s been too long and all you want is some damn chicken wings, well Porter Ale House rivals most wings I have tried state side. It’s got it all. I will be honest though, one of the things I love about it is that it’s in Mexico, and I love Mexico (now more than ever). The food is great, the people are warm and welcoming, and its wonderfully inexpensive. Our favorite spot to spend our evenings was the La Viña de Bacco wine bar, where you could get a nice glass of Tempranillo for twenty pesos ($1), and each glass came with a small tapa to snack on. On top of that, being in the heart of the city, the entertainment of simply sipping your wine and watching the night unfold could keep you busy for hours. On most nights, the street in front of the bar fills with couples dancing to a sidewalk show usually put on by locals and traveling musicians. 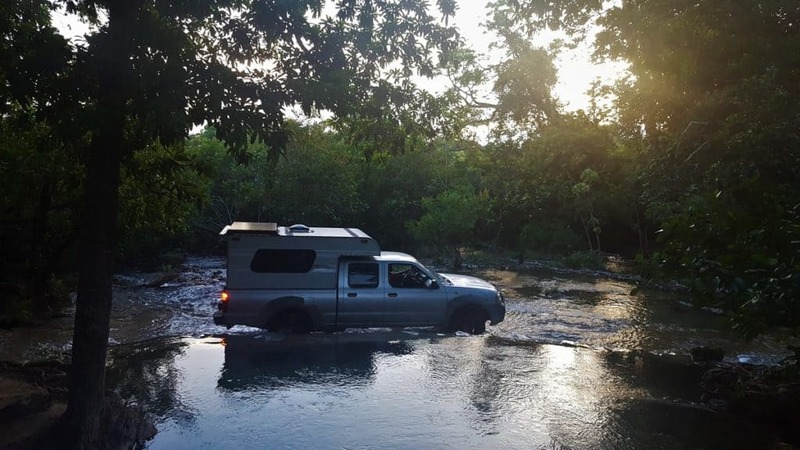 Another factor that helps this city stand out for us is the overlanding situation. In most cities, finding a comfortable place to sleep in the truck is a challenge. 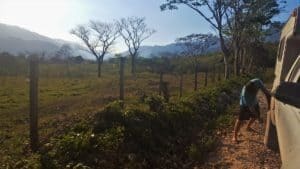 In San Cristobal, we got to stay at one of the better campgrounds we had found along the way, while only being a short 15-minute walk from the heart of it all. Rancho San Nicolas had everything we could ask for. Clean bathrooms with hot showers, an indoor kitchen space with dining area, plenty of space of big rigs, and even two fireplaces (indoors & out) with all the wood you need to enjoy a nice evening by the fire. Blend it all together, and you are left with one amazing place. It was the first destination on our trip that we spent an extended amount of time (about 2 weeks total), and honestly, I can’t wait to come back some day. We Follow The Lines Going South! Living in San Diego for these past 9 years and being so close to Mexico provided me the benefit of many fun trips over the border. It’s funny, from all that time I spent down in Baja, along with all the other trips I made down to the mainland on cruises and whatnot, I actually felt like I had a good handle what Mexico was all about. I had barely scratched the surface. All said and done, we spent just over 5 months traveling Mexico, surpassing the 2 months we had originally said we would do. I can now say I know Mexico well, and I can also say that it is absolutely enchanting. All my preconceived notions have been melted away, and I am left with a deep admiration for the country. It’s a bittersweet goodbye, but we know we will be back. It’s finally time we continue our Wanderful journey south. Next stop, Guatemala!